This domain belongs to the Global Ventures network. We have interesting opportunities for work, sponsors and partnerships. Inquire now. This Privacy Notice describes Mortgagecoin.com"s collection, use, and disclosure of the information You provide to Us through Your use of the Site or Service, as well as the rights You have with respect to Your Personal Data. For any questions regarding this Privacy Notice please contact Us at support@CONTRIB.com. I. What Information Do We Collect And How Do We Use It? Information We collect from You. > We will collect Personal Data that You voluntarily provide us, for example, when You register for, or interact with other users through the Site or Service. We may also collect Personal Data when You sign up for marketing emails, events, or other opportunities through Mortgagecoin.com. Personal Data may contain Your name, email, contact information, as well as job titles, or other information You provide to Mortgagecoin.com. > Billing and transactional information pursuant to Your use of the Site and Service. > Information regarding Your use of the Site or Service, such as the hardware model, operating system version, web-browser software and Your Internet Protocol (IP) address/device identifier. > Statistics and information on Your use of the Site and Service, including Your IP address; device type and unique device identification numbers, device event information, broad geographic location and other technical data collected through cookies, pixel tags or other similar technologies. > Information disclosed through the Site or Service will be made available to other users of the Site or Service, who may send You unsolicited messages. Please do not post any information that You do not want to reveal to the public. Examples of how We use Your Personal Data. Information from third party sources and affiliated companies. We may also obtain information about You through third party sources as permitted by applicable law, such as public databases, social media platforms, and reseller, channel, and joint marketing partners. We may share Your Personal Information with third parties, such as vendors and service providers who provide assistance with billing, payment processing, marketing, data analytics support and service associated with the Site or Service. We may share Your Personal Data with Our channel partners to fulfill obligations and requests, to deliver support, and to provide users and Our customer"s users with information about Mortgagecoin.com. Mortgagecoin.com does not control how a business partner may use Your Personal Data. Our business partners are responsible for managing the use of Personal Data collected in these circumstances. Compliance with laws and for other legitimate business purposes. We may share Your Personal Data when We believe disclosure is necessary or required by law, regulation, to protect users, the integrity of the Site or Service and to defend or exercise Our legal rights. We may also disclose Your Personal Data when it may be necessary for other legitimate purposes as reasonably determined by Mortgagecoin.com. Information, including information collected in the European Economic Area ("EEA") may be transferred, stored and processed by Us and Our services providers in the United States and other countries whose data protection laws may be different than the laws of Your country. We will protect Your Personal Data in accordance with this Privacy Notice wherever it is processed and take appropriate steps to protect the information in accordance with applicable laws. These steps include obligations to both Mortgagecoin.com and You and available on Mortgagecoin.com. You may also request an executable version of Mortgagecoin.com"s Data Processing Agreement by contacting support@CONTRIB.com. Mortgagecoin.com maintains (and requires its subcontractors and service providers to maintain) appropriate organizational and technical measures designed to protect the security and confidentiality of any information We process. However, no organizational or technical measures are 100% secure so You should take care when disclosing information online and act reasonably to protect Yourself online. You may modify the information You have provided to Mortgagecoin.com at any time through Your Mortgagecoin.com profile. You can also opt-out of receiving marketing communications, deactivate, or delete Your account at any time. > Right not to provide or withdraw consent: You have the right not to provide or withdraw Your consent at any time. > Right of access: You may have the right to access the Personal Data that You provided Us. > Right of erasure: You may have the right to the erasure of Personal Data that We hold about You. > Right to object to processing: You may have the right to request that Mortgagecoin.com stop processing Your Personal Data and/or to stop sending You marketing communications. > Right to rectification: You may have the right to require Us to correct any of Your Personal Data. We will retain personal information We collect from You for the period allowable by law and where We have a justifiable business need to do so, unless a longer period is required or permitted by law. You can request deletion of Your Personal Data at any time and We will consider Your request in accordance with applicable law. Mortgagecoin.com will review and update this Privacy Notice in response to changing legal, technical and business developments. Please review this Privacy Notice frequently to understand how Mortgagecoin.com is protecting Your Personal Data. We do not intentionally gather Personal Data from visitors who are under the age of 13. If a child under 13 submits Personal Data to Mortgagecoin.com and We learn that the Personal Data is the information of a child under 13, We will attempt to delete the information as soon as possible. If You believe that We might have any Personal Data from a child under 13, please contact Us at support@CONTRIB.com immediately. "Personal Data" means data that allows someone to identify or contact You, including, for example, Your name, address, telephone number, e-mail address, as well as any other non-public information about You that is associated with or linked to any of the foregoing data. "Anonymous Data" means data that is not associated with or linked to Your Personal Data; Anonymous Data does not, by itself, permit the identification of individual persons. We collect Personal Data and Anonymous Data, as described below. We may collect Personal Data from You, such as Your first and last name, location, phone number, gender, e-mail and mailing addresses, professional title, company name, employment history, education history, personal summary, and password when You create an account to log in to Our network ("Account"). We retain information on Your behalf, such as files and messages that You store using Your Account. When You post content (text, images, photographs, messages, comments or any other kind of content that is not Your e-mail address) on Our Site, the information contained in Your posting will be stored on Our servers and other users will be able to see it, along with Your profile photo and any other information that You choose to make public on Your public profile page ("Profile"). The information that You provide in Your Profile will be visible to others, including anonymous visitors who are not users of Our Service. When You post messages on the message boards of Our Site, the information contained in Your posting will be stored on Our servers and other users will be able to see it. When You participate in one of Our surveys, We may collect additional profile information. We also collect other types of Personal Data that You provide to Us voluntarily, such as Your operating system and version, product registration number, and other requested information if You contact Us via e-mail regarding support for the Site or Service. We may also collect Personal Data at other points on Our Site and Service that state that Personal Data is being collected. If You are not currently registered as a user the Service, and You click on "Sign In" using Facebook, Google, LinkedIn, GitHub, Angellist, or another SNS that We support, You will first be asked to enter Your SNS credentials and then be given the option to register for the Service. In this case, We may receive information from that SNS to make it easier for You to create an Account on the Site. Any information that We collect from Your SNS account may depend on the privacy settings You have with that SNS, so please consult the SNS privacy and data practices. If You decide to invite a third party to create an Account, We will collect Your and the third party"s names and e-mail addresses in order to send an e-mail and follow up with the third party. We may maintain this information indefinitely in Our database and may also use this information to help us establish networks of contacts, document relationships, facilitate referrals, and improve Our Services. We may also use this information to show You and other users that You may know each other or have shared contacts. We rely upon You to obtain whatever consents from the third party that may be required by law to allow us to access and upload the third party"s names and e-mail addresses as required above. You or the third party may contact Us at support@CONTRIB.com to request the removal of this information from Our database. The e-mail that is sent to Your friends will come from Your e-mail address so that Your friends know that You want to invite to Our Site and Service. You may use Our address book and contacts importer to upload Your contacts from other services into Mortgagecoin.com. When You import Your contacts, We may indefinitely store the contact information in Our database, including Your contacts' names, e-mails, phone numbers, locations, and relationships to You, subject to applicable law. We do not store any passwords You provide as part of the contact import process. After We import Your contacts, We will use this information to help Us establish networks of contacts, document relationships, facilitate referrals, and improve Our Site and Service. We may also use this information to show You and other users that You may know each other or have shared contacts. We rely upon You to obtain whatever consents from the relevant third parties that may be required by law to allow Us to access and upload the third parties" names, e-mail addresses, and other contact information. You or such a third party may contact Us at support@CONTRIB.com to request the removal of this information from Our database. We may receive Personal and/or Anonymous Data about You from companies that provide Our Service by way of a co-branded or private-labeled website, companies that offer their products and/or services through Our Services, and/or companies that otherwise collect such information. These third party companies may supply Us with Personal Data. We may add this information to the information We have already collected from You via Services in order to improve Services We provide to You. In general, Personal Data You submit to Us is used either to respond to requests that You make, or to aid Us in serving You better. We use Your Personal Data in the following ways: facilitate the creation of and completion of Your profile for use with the Site and Service; identify You as a User in Our system; provide improved administration of the Site and Service; provide the Site and Service; improve the quality of experience when You interact with the Site and Service; send You a welcome e-mail to verify ownership of the e-mail address provided when Your Account was created; send You administrative e-mail notifications, such as information about pending job offers, security or support and maintenance advisories; respond to Your inquiries related to employment opportunities or other requests; make telephone calls to You, from time to time, as a part of secondary fraud protection or to solicit Your feedback; send You calendar invitations; and send newsletters, surveys, offers, and other promotional materials related to the Site or Service and for other marketing purposes of Mortgagecoin.com. We often receive testimonials and comments from users who have had positive experiences with Our Service. We occasionally publish such Content. When We publish this Content, We may identify Our Users by their first and last name and may also indicate their home city. We obtain the User"s consent prior to posting his or her name along with the testimonial. We may post user feedback on the Site from time to time. We will share Your feedback with Your first name and last initial only. If We choose to post Your first and last name along with Your feedback, We will obtain Your consent prior to posting You name with Your feedback. If You make any comments on a blog or forum associated with Services Site, You should be aware that You have no reasonable expectation of privacy and that any Personal Data You submit there can be read, collected, or used by other users of these forums, and could be used to send You unsolicited messages. We are not responsible for the personally identifiable information You choose to submit in these blogs and forums. We may create Anonymous Data records from Personal Data by excluding information (such as Your name) that makes the data personally identifiable to You. We use this Anonymous Data to analyze request and usage patterns so that We may enhance the content of Service and improve Site navigation. We reserve the right to use Anonymous Data for any purpose and disclose Anonymous Data to third parties in Our sole discretion. We disclose Your Personal Data as described below and as described elsewhere in this Privacy Statement. When You use the Service, the Personal Data You provide will be shared with the third parties that You designate to receive such information, including other websites, Your friends, relatives and business associates. Depending on the type of access You grant to such third parties, they may also be permitted to edit the information You have provided to Us and to designate others to access and edit such information. You may change Your settings at any time as to who has access to Your information by going to Your account settings and changing Your publishing options. We may share Your Personal Data with third party service providers to: provide You with the Service; to conduct quality assurance testing; to facilitate creation of Accounts; to provide technical support; and/or to provide other services to Mortgagecoin.com. These third party service providers are required not to use Your Personal Data other than to provide the services requested by Mortgagecoin.com. We may share some or all of Your Personal Data with Our parent company, subsidiaries, joint ventures, or other companies under a common control ("Affiliates"), in which case We will require Our Affiliates to honor this Privacy Statement. Certain portions of the information You provide to us may also be displayed in Your Profile. As an essential element of the Service, most of the Personal Data You explicitly provide to us when You register or update Your Profile is displayed on Your Profile. In order for Your Profile to be made public, You must go to Your profile settings and then to profile visibility. By default, Your Profile is not for public viewing. Your photos, posts, friends, and other content You post to the Site are also meant for public consumption. We may display this content on the Site and further distribute it to a wider audience through third party sites and services. Once displayed on publicly viewable web pages, that information can be collected and used by others. We cannot control who reads Your postings or what other users may do with the information that You voluntarily post, so it is very important that You do not put Personal Data in Your posts. Once You have posted information publicly, while You will still be able to edit and delete it on the Site, You will not be able to edit or delete such information cached, collected, and stored elsewhere by others (e.g., search engines). If You decide at any time that You no longer wish to accept Cookies from Our Site or Service for any of the purposes described above, then You can instruct Your browser, by changing its settings, to stop accepting Cookies or to prompt You before accepting a Cookie from the websites You visit. Consult Your browser"s technical information. If You do not accept Cookies, however, You may not be able to use all portions of the Site or all functionality of the Service. If You have any questions about how to disable or modify Cookies, please let us know at the contact information provided below. If You decide at any time that You no longer wish to have Your SNS account (e.g., Facebook) linked to Your Account, then You may de-link the SNS account in the "preferences" section in Your account settings. You may also manage the sharing of certain Personal Data with us when You connect with us through an SNS, such as through Facebook Connect. Please refer to the privacy settings of the SNS to determine how You may adjust Our permissions and manage the interactivity between the Service and Your social media account or mobile device. You may change any of Your Personal Data in Your Account by editing Your profile within Your Account. You may request deletion of Your Personal Data by us, and We will use commercially reasonable efforts to honor Your request, but please note that We may be required to keep such information and not delete it (or to keep this information for a certain time, in which case We will comply with Your deletion request only after We have fulfilled such requirements). When We delete any information, it will be deleted from the active database, but may remain in Our archives. We may also retain Your information for fraud or similar purposes. Mortgagecoin.com is committed to protecting the security of Your Personal Data. We use a variety of industry-standard security technologies and procedures to help protect Your Personal Data from unauthorized access, use, or disclosure. We also require You to enter a password to access Your Account information. Please do not disclose Your Account password to unauthorized people. No method of transmission over the Internet, or method of electronic storage, is 100% secure, however. Therefore, while Mortgagecoin.com uses reasonable efforts to Your Personal Data, Mortgagecoin.com cannot guarantee its absolute security. The most efficient way to publish to multiple social media accounts. 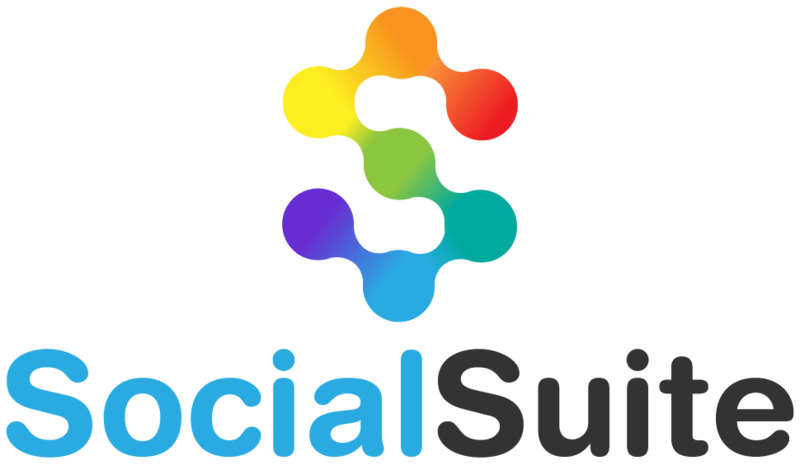 Schedule, add rss feed, publish all your social posts in one place. TravelChain is a leading network and service platform focused on blockchain and distributed ledger technology for the travel industry. Join our exclusive community of like minded people on staffing.com. Get in on our Token Sale on August 30! Linking people, skills and opportunities to create an awesome crypto commerce network. Join us today! Have a funny or unique Photo taken from your SmartPhone? Register Now for free to Win amazing Prizes in our 2013 PhotoChallenge, Sponsored by PhotoStream. Submit photos to win challenges today! Democratic Presidential Strategy Survey As a leading Democrat in your community, your opinions are vitally important. eCorp is a network of smart entities with self-organizing teams that run at the edges within premium URL’s. We encode decision-making, compensation, ownership and guidelines into smart contracts currently deployed on the Ethereum Blockchain. Our business model is Open, Circular, Linked and Aligned. Contribute today and join a fast growing, scalable, interoperable, venture blockchain network. PoliticalCorp - Help us shape the political landscape by contributing your skills and talent, part-time, with PoliticalCorp amazing portfolio of digital asset opportunities. Join us and help build politicalcorp.com for the challenge, equity and some cash! Global Ventures, LLC, established in 1996, is a Real Estate and Technology company focused on building and leveraging electronic corporations (eCorp) within the Domain Name System. Premium domains and companies such as Referrals.com,Staffing.com, Mergers.com, Domain Holdings, VentureCamp, Handyman.com, DSL.com and over 20,000 others are the core digital asset and building blocks of Global Ventures. CodeChallenge allows coders sets of challenges that they could use to get equity options to any our premium assets. We are launching CookBoard.com Your #1 Local Food Marketplace community! Join us as we launch it Dec 2014! Come Learn and Earn with other great professionals on leading Internet Ventures. Capture the Value you create in 1 hr, 1 day, 1 week and earn amazing ownership. Models helping set The Vibe for your Venue. Book your table now. The #1 Application Brand Matching Marketplace. List your applications from different marketplaces and get revenue for every install. ifund is a funding system for applications and people to explore there passions around the Contrib.com model and our partner premium assets. veteransrehab.com - Help us shape the political landscape by contributing your skills and talent to build veteransrehab.com. Join us and help build veteransrehab.com for equity! Join our Design Challenges on Euro Design! Help our TV community to grow! Join us and watch hundreds of movies everyday! Creating amazing Venture EcoSystems with commitments to supporting Impact Programs Globally. Most effective Business Referral Program and Tools Available. Find and share referrals locally. Kessler Mansion is a former HGTV extreme home and been under renovation for the past 6 years. With updated amenities and unique features that include quartz walls, various size windows, floating staircases and creative ceiling textures, the estate caters to various groups. Centrally located and within 15 minutes downtown, 10 minutes to fairgrounds and 5 minutes to Broadripple, Kessler Mansion can cater from 2 to 2000 people. Visiting accommodations , hosting an event or wedding or looking for longer term for you and your family, we have the facility. The estate consists of 26,000 total sq. ft with 3 large buildings, pool house and a cozy and classy apartment. Truly one of the Midwest most unique homes, we are for the first time opening up the estate for leasing. The facility is monitored by state of the art wireless security systems along with remote video surveillance for your protection. Strict guidelines and rules apply. is a proud venture of Global Ventures, LLC. Join our network of performance based companies using mortgagecoin.com. CTB crypto token sale starting October 12, 2017. Amazing Opportunities with world leading digital assets like Streaming.com, Applications.com and others. Learn more and get updates. No, thanks I am not interested to be part owner. © 2019 mortgagecoin.com. All Rights Reserved.